Magic Words: An act well worth repeating. 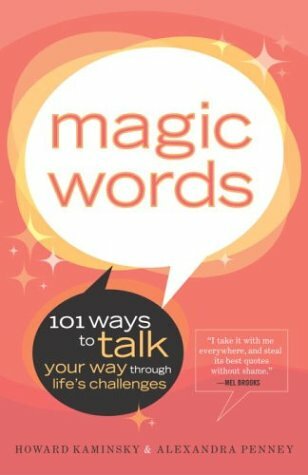 Magic Words: 101 Wise Ways to Navigate Life's Sticky Situations. Howard Kaminsky and Alexandra Penney. Broadway Books. 304 pages. Magic words? I expected books full of bons mots and catch phrases that would cloud minds and bend helpless lackeys to my will, or at least help me succeed in this troubled world. In other words, I was extremely skeptical. 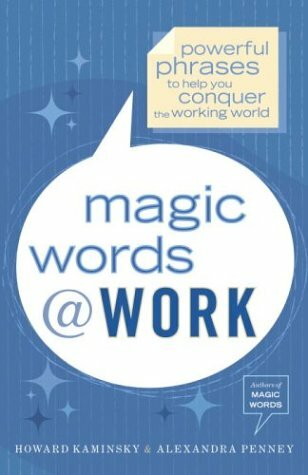 But, thankfully, both Magic Words books are comprised of a variety of personal mottoes and sayings that are words to live by. For example ''lead between the lines'' is the advice that was offered by the father of a young manager, suggesting that he find a solution to a problem, then try to make it fit the relevant rules. ``This was the tactic adopted by a young woman Alexandra knew who worked as a secretary for a fashion magazine. Deborah's dream was to be a fashion editor, and long before she had the job, she had the image. Because she was young, she wisely shunned the stark, sophisticated perfection of a Diana Vreeland, and instead, in her clothes and hairstyle, mirrored the fashion fads of people her age who were making news in the worlds of art, music and drama. Deborah was never outlandish, but she was always different and completely original. Both books are chock full of phrases illuminated with anecdotes from which simple yet profound wisdom can be derived. While the newer book is positioned as more of a business text, both contain lessons that can be applied to a variety of circumstances in and out of the boardroom or cubicle farm. Authors Kaminsky and Penney are publishing pros. The former has been a top executive at several firms, and the latter was a best-selling author and magazine editor. They clearly hit upon a winning formula with the original Magic Words and repeated the act with its worthy follow-up. As gimmicky as their approach might be, it's a rather painless and entertaining way to teach and elicit self-examination and introspection. This deceptively simple approach might fit under ''if it ain't broke, don't fix it,'' ''keep it simple, stupid'' or any number of other sobriquets, but for Kaminsky and Penney, I'd just say "Abracadabra!" and leave it at that..